Yup. More sketchbook. Some cool stuff tho. 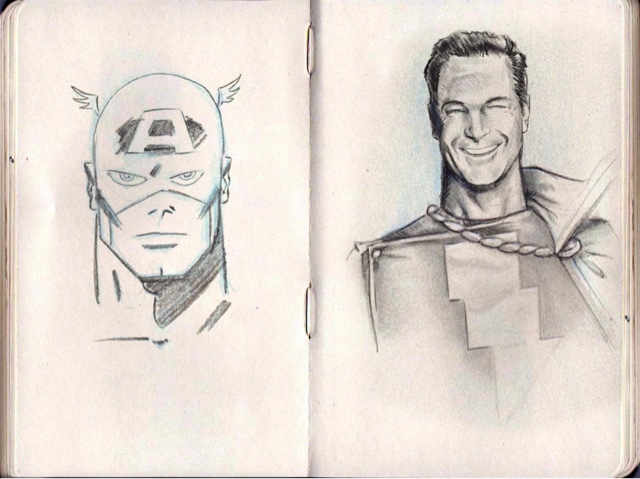 I dig the Kirby Captain America and the Patrick Warburton inspired Captain Marvel as well as some drawings from my classroom and The Greatest American Hero!